You can save up to 10% of Installing and EPC Cost. Reduce your CAPEX and OPEX Costs signifacntly. 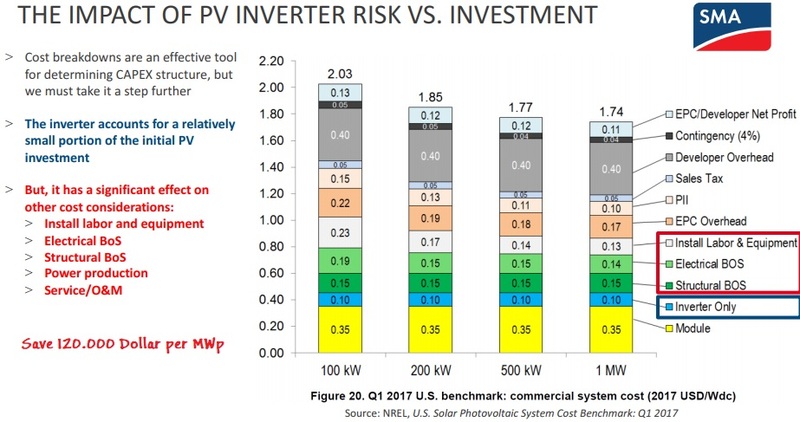 A Webinar of GTM and SMA brought big Innovations and will lead the Photovoltaics in the US towards the cheapest Electricity Solution for new Installation, before wind and Coal. Please Contact me if you want to realize up to 120.000 Dollar per MW in Savings for your Commercial and Utility Scale Project. 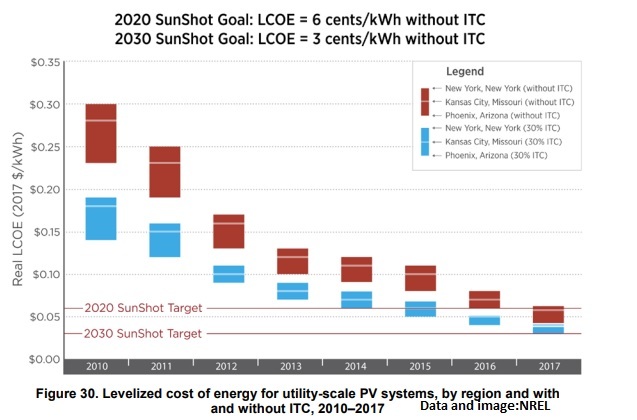 I help you to bring your LCOE down to only 6-3 Cent per kWh.